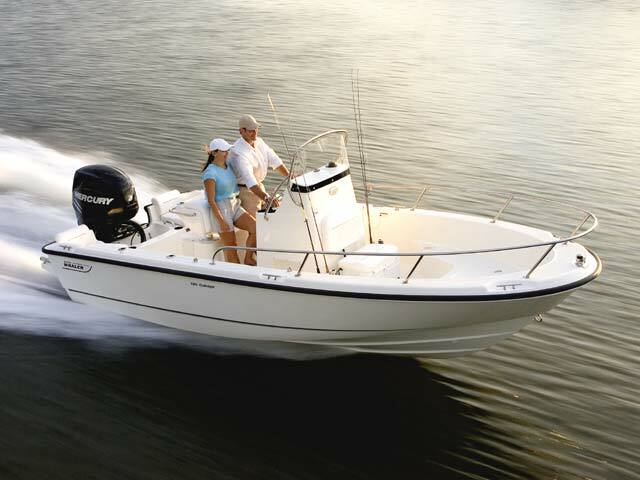 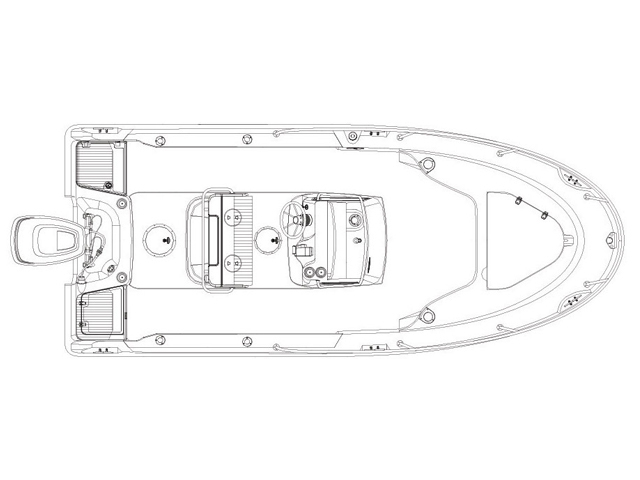 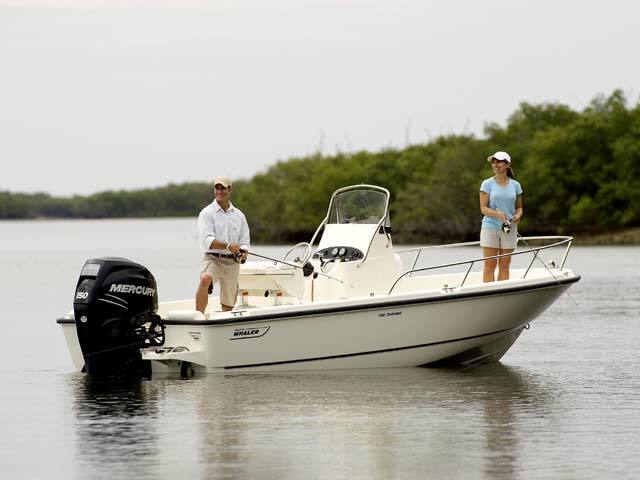 The Boston Whaler 190 Outrage packs all the capability of a much larger boat. 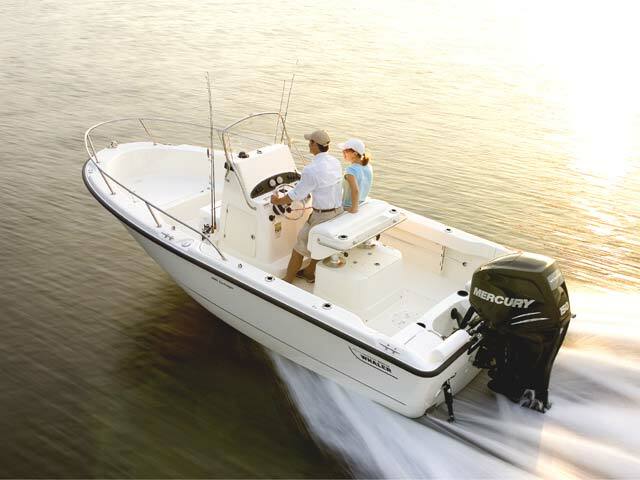 With its 22-inch freeboard, aggressive V-hull and huge fuel capacity, it’s perfectly suited for offshore trolling. 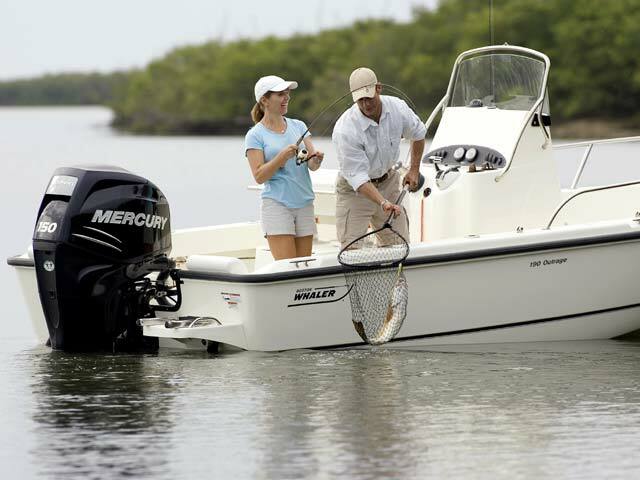 And thanks to its 12-inch draft, it’s equally ideal for backwater fishing. 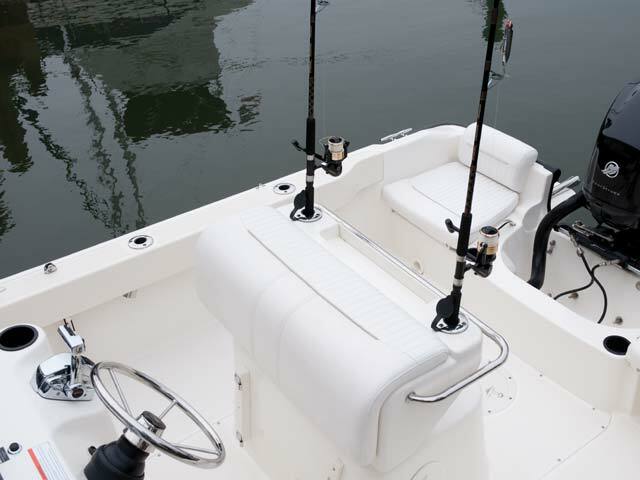 Anglers of all stripes will appreciate options like a livewell, tackle drawers and rod holders. 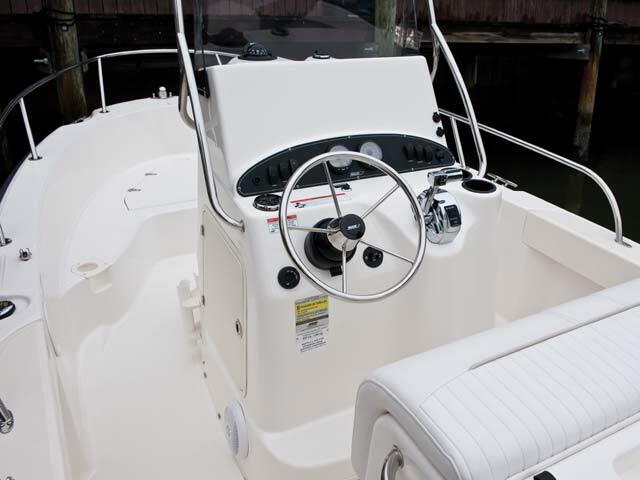 Meanwhile, comfort-minded features like soft, durable seating, a swim platform with ladder and numerous drink holders make the 190 Outrage great for pleasure cruises as well. 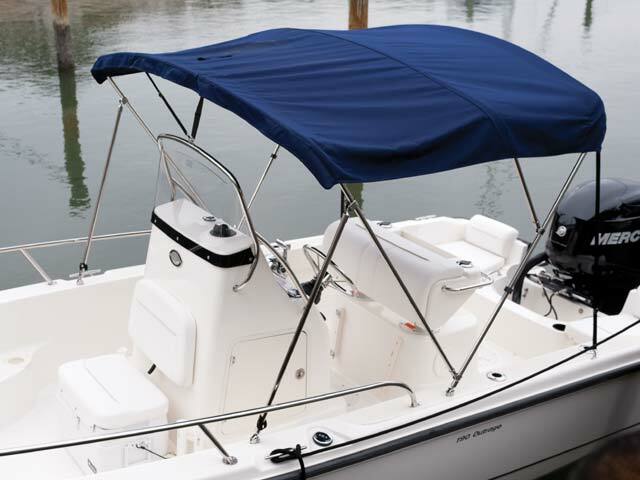 And thanks to Whaler’s unbeatable ride quality, every passenger stays safe and dry.